Find the Web Strategy Plus booth #423!! Franchise Expo Midwest (FEM) is the premier event covering the franchise industry for the Midwestern United States, and serves as the industry’s one-stop shop for prospective franchisees. At Franchise Expo Midwest, hundreds of the hottest franchise concepts and opportunities will be on display, and thousands of the most qualified prospects from the Midwestern United States, as well as other areas will be in attendance. FEM also offers the industry’s most comprehensive conference and educational program to gain the ins and outs and behind the scenes information needed for success right from the start. Thousands of entrepreneurs and future business owners from across the United States will attend Franchise Expo Midwest, looking for franchise opportunities. Visitors will have the chance to meet face-to-face with over 200 proven franchise opportunities in every industry, across every investment level, full-time and part-time. FEM is owned and operated by MFV Expositions, producers of shows in the United States, Mexico, Germany, and the United Kingdom. 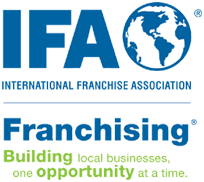 FEM is sponsored by the International Franchise Association (IFA).